The Crisis Resolution and Home Treatment Service offer assessments, care and treatment for people experiencing severe mental health problems. It offers an alternative to hospital admission, minimising disruption to the service user’s life by providing care in their own environment until the crisis is resolved. 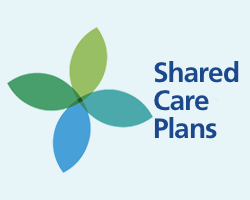 You may be referred for on-going support: community teams, IAPT, 3rd sector, GP etc. You may be referred for intensive support: Crisis Team, Home Treatment etc. If you are worried about the immediate safety of yourself or someone that you know, you should contact the Emergency Services on 999. For those people not known to services and require advice contact 01902 444141 (Penn Reception) whereby they will be put through to the MHLS. The service is available 24 hours a day, seven days a week for over 18 years of age. If someone needs our service between 9am and 5pm they should get in touch with their GP or someone from their mental health team. Out of hours, 5pm to 9am, they should contact their out of hours GP service or if they live in Sandwell, Sandwell Hospital Accident and Emergency. These people can then refer the person by phoning us. Our service is for people going through severe mental health crises. When someone is referred one or two members of our team will meet the person, or their carer or family, to find out what the person’s needs are. We will then decide whether our team is the best team to provide the support the person needs. If we feel someone’s needs can be better met by another team we can help them get in touch with this team. If we feel we can help the person through their crisis we will go about making a care plan with them. We give all the support we can to help someone stay in the community, and not have to go into hospital. When someone stays in the community, they can focus on ordinary living, continue relationships with family and friends, and have more control over the support they get. In most cases, when someone is referred to Hospital we meet with them to see if there is any way we could support them in the community. We only rule out community support, from ourselves or another team, when there is a clear need for someone to go into hospital. Working in our team are psychiatrists, community psychiatric nurses, psychologists, social workers, and support workers. There is access to Occupational Therapy. Having a range of staff means we stand a better chance of meeting your needs. Someone not known to any of our services needs to be referred by a health professional. If an emergency happens during normal working hours, 9am to 5pm, the health professional should call us and we can deal with the call directly. Out of hours, 5pm to 8pm the call will be diverted to the duty worker within the Crisis and Home Treatment Team. 8pm-9am calls are directed to Penn Hospital who will contact the Crisis and Home Treatment Team where a health professional will be directed to an answer phone. The professional should leave their name and contact number and we will call them back. The number is the same during both times. 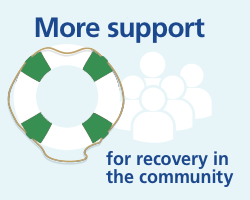 You may be referred for on-going support: community teams, IAPT, GP etc. You may be referred for intensive support: Crisis Team and Home Treatment etc. Where / when do I seek help? Referrals are made internally within the hospital accident and emergency department. Referrals will be accepted from any member of the multidisciplinary team and associated professional. Referrals can be made for any patients aged 16 years and over with presumed mental health or substance misuse needs. 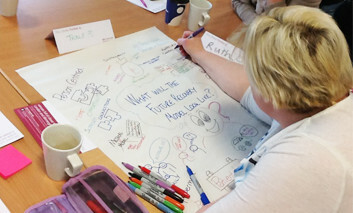 Rapid Assessment Interface Discharge (RAID) is a specialist multidisciplinary mental health service, working within the acute hospital for people aged over 16. The RAID service is for people with mental health or substance misuse needs who access accident and emergency (A&E) departments in hospitals in Birmingham and Solihull. RAID also see patients who are on the Acute Medical Unit (AMU), Clinical Decisions UNIT (CDU) and inpatient wards. Working with service users, who have demonstrated high levels of need through multiple admissions, poor engagement with services, limited responses to treatment and increased vulnerability or risk due to symptoms or neglect. advice and support where appropriate. The team comprises of nurses, psychiatrists, psychologists and physicians assistants who are experienced at working in mental health. There are specialists in working age mental health, drug, alcohol and mental disorders common in older people.